After taking a brief post-Halloween break, it’s time to for some reviews on Dread Media. 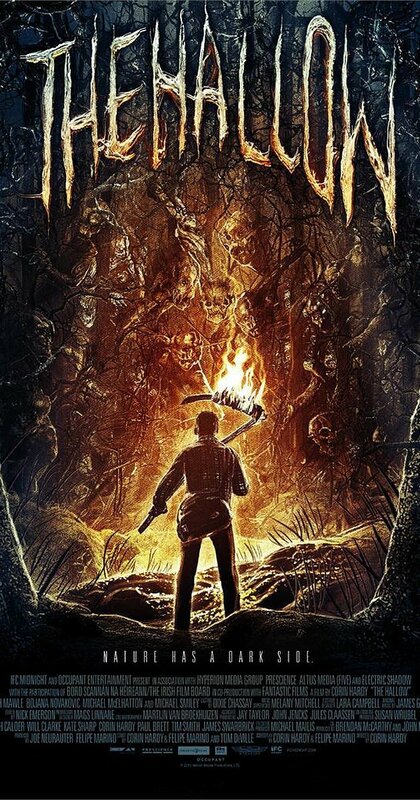 This week on episode 483, I take a look at the recent Irish folklore flick, The Hallow (2015). Watch the trailer, track the movie down on Blu-ray and have some fun with it. Plot: Harry Harper has invented a new type of submarine with an electronic periscope. However, before he gets a chance to finish it, the story hits the newspapers and fortune seekers want to use it to find gold and riches buried in the South Seas. Unfortunately, the father of the woman he loves, Beverly West, has been kidnapped by cannibals and unless she turns over a pearl that belongs to one of her idols, he’ll become the main course. Meanwhile, the Mourdant family wishes to capture his invention and Harry must fight them off through a series of daring escapes. Personal Thoughts & Trivia: Originally produced under the title Salvage, Terror Island is a sensationalized epic on the high seas with cannibals that are definitely politically incorrect by today’s standards. Despite that modern-day flaw, it is the most professional looking of all of Houdini’s films. With the island of Catalina as a filming location, the entire film appears to be a more cohesive effort with a lessened emphasis on the escapes of Houdini and more on the overall plot. 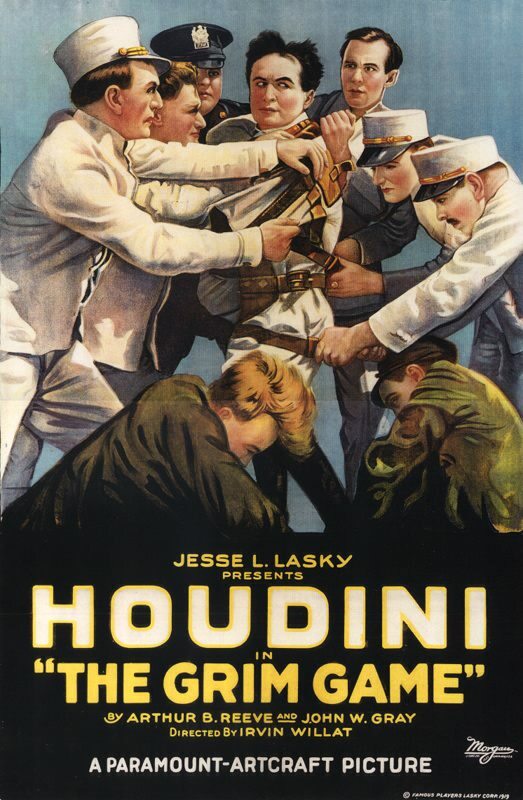 Unfortunately, many critics refused to take the film serious before the first reel even started due to Houdini’s presence, which by this time was a negative hurdle to surpass. It was only moderately successful and was the last major studio effort for Houdini. With two of the seven reels now missing, Terror Island moves along at a very brisk 50 minute pace. It’s actually quite enjoyable. Unfortunately, Houdini became a little frustrated following its lack of success and traveled to London to explore psychic phenomena with his friend, Sir Arthur Conan Doyle. It is this time period that served as the background for the short-lived Fox Television series, Houdini and Doyle. Houdini was fond of exposing spiritualism frauds despite his own hopes of communicating with his wife should he die before she did. When Sir Doyle’s wife claimed to have communicated with Houdini’s mother, he believed her a fraud as well due to several inconsistencies. This would essentially end his friendship with Doyle. Houdini would soon be ready to form his own motion picture company as his next film, The Man from Beyond, would become his most famous effort. Available on the Kino Houdini: The Movie Star three DVD collection. I’m excited to announce I’ve been invited to join the staff of Boom Howdy, a fantastic website offering news, reviews, podcasts and much more. What’s even more exciting is that it covers all genres, giving something for everyone, no matter what your area of interest. My first film review is something you won’t find here at Monster Movie Kid. However, it is a sneak preview of some exciting changes coming in 2017. 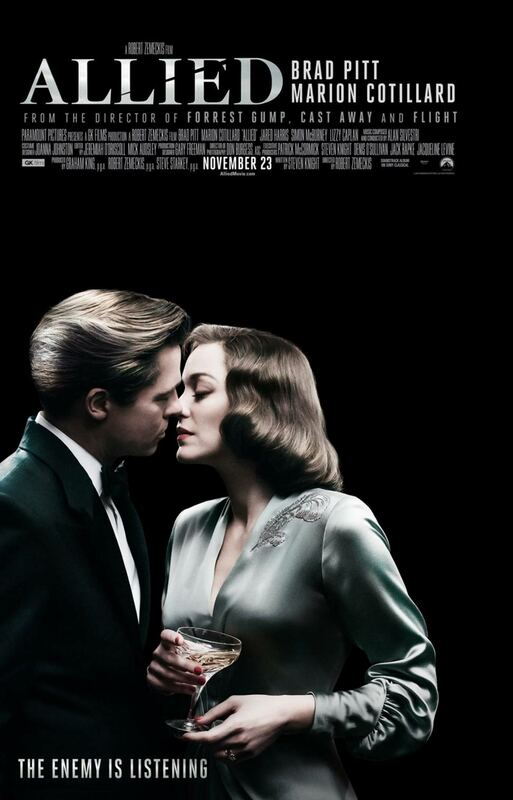 Until then, take a look at my review for Allied (2016), the new Brad Pitt World War II thriller. Thank you Jeff Owens for this great opportunity! Be sure to read his reviews at Boom Howdy, as well as his contributions to the classic horror community with his great website, Classic Horrors Club. And tell him Richard Chamberlain, the Monster Movie Kid sent ya! Plot: Harry Houdini stars as Harvey Hanford, a reporter who is framed for murder. Upon his escape from jail, he must pursue the men behind the plot, who are also responsible for the kidnapping of his fiancée, Mary Wentworth. What transpires is a series of captures and escapes, with the climax occurring in a now famous mid-air plane crash. 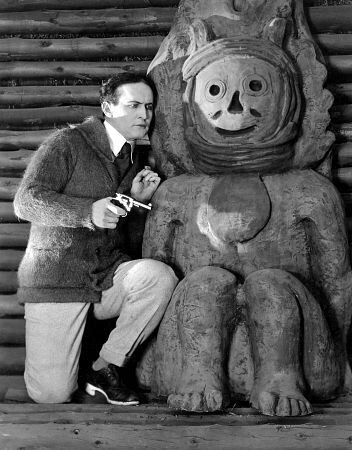 Personal Thoughts and Trivia: After the success of The Master Mystery (1919), Houdini wanted to continue exploring the cinematic world. After the failure of the Octagon Film Corporation, Houdini announced that a new company would be formed to make feature films starring himself. 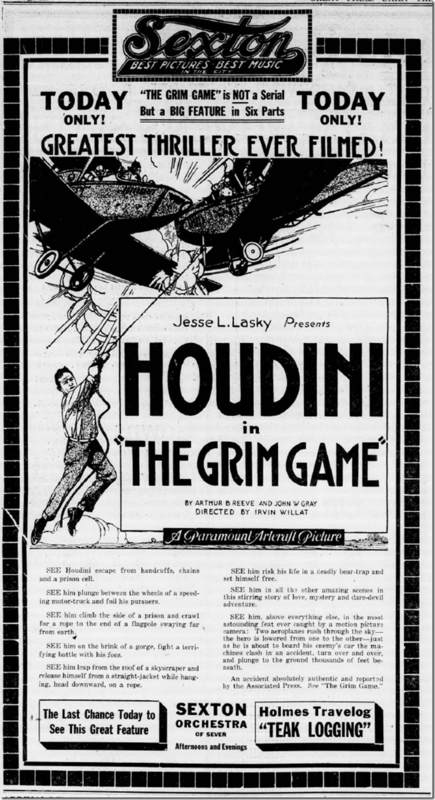 However, before that would occur, Houdini signed with Famous Players Lasky to begin filming a new project. This time, Houdini would star in a feature film but it was only a one picture deal as his star power was still being determined by Hollywood. The Grim Game would continue with the idea that Houdini’s characters were multi-faceted. However, here he is much more of a common man, which is a contributing factor for why this is considered by many to be his best film. At 71 minutes, The Grim Game succeeds where The Master Mystery failed. It weaves a tightly written tale and exploits the escape aspects without becoming tedious. Houdini’s acting talents are sometimes questioned. However, Houdini plays a very real version of himself here. There are no spies or fancy inventions. Just a man fighting to prove his innocence and saves the love of his life. The escapes are the proverbial icing on the cake without drowning the movie goer. The climatic plane crash has become legendary and, for many years, was the only true surviving clip from a film that was considered lost until 2014. Houdini had planned a fantastic aerial stunt that would have culminated with his character moving from one plane to another. However, when the planes got too close to each other, the resulting crash was all caught on film. With no fatalities, the footage was used and became the biggest selling point during the film’s promotions. 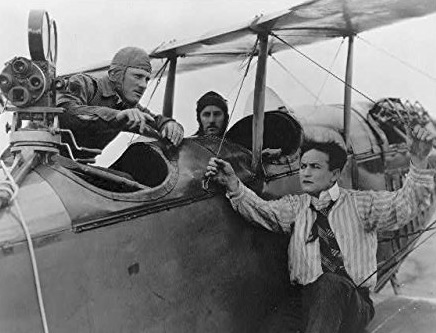 While Houdini took credit for his participation in the stunt, it was eventually revealed that a stunt actor was actually the man involved and Houdini’s departure from the crashed plane was actually filmed after the fact. At the film premiere, Houdini actually offered $1,000 to anyone who challenged the legitimacy of the plane accident. Needless to say, no one ever received the money, but it was an effective publicity tool. 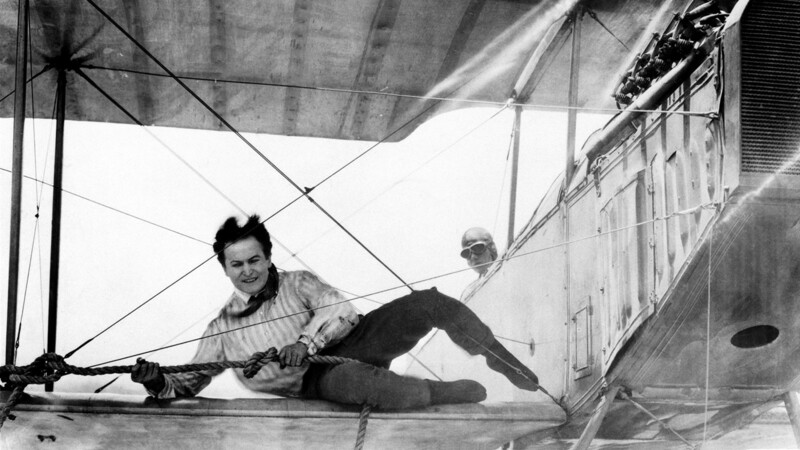 Reviews would comment on the excitement of the plane crash but Houdini’s acting abilities were once again brought into question. In reality, this is probably Houdini’s best effort and his acting really isn’t that bad. His one weakness is the lack of believability in any romantic scene. Despite Houdini’s wife being present on set to ease his nerve, Houdini would prefer not to kiss his romantic lead, something the critics noticed and, ultimately, affected the overall opinion of his acting. Almost more exciting than the film itself is the story of it’s’ recovery. For many years, only the plane crash segment would remain intact. While considered a lost film, The Grim Game was known by some to have existed in the private collection of retired juggler Larry Weeks. He had acquired the film in 1947 from Houdini’s family and he eventually transferred the 35mm copy to a 16mm safety print. He would show it to a select group of family and magician friends over the years. It was known that legendary film historian William K. Everson had indeed showed a print in 1974 but where it was after that remained a mystery. In the spring of 2014, film historian and restoration expert Rick Schmidlin was put in touch with Larry about possibly acquiring the film print. Turner Classic Movies were notified of the meeting in advance and were definitely interested. Upon viewing the print, it’s truly a miracle The Grim Game survived. The original nitrate print was beginning to show signs of damage in 1959, and is considered to have been perhaps six months away from permanent loss. As well, even the 16mm print was showing signs of vinegar syndrome, indicating it too was now close to being lost. The film restoration came quite literally at the last minute not once but twice in its history. Sadly, Larry would pass away on October 13, 2014, at the age of 95. He never made it to the premiere of the film he so lovingly took care of for decades. The film was a main feature of the TCM Classic Film Festival and was presented on March 29, 2015 at the Egyptian Theater in Hollywood to a packed house. It would then premiere on Turner Classic Movies in October 2015 with two different versions, each presenting a different score. The Brane Zivkovic score was seen at the Hollywood premiere while a new score by Steve Sterner made its debut on television. Each has their pros and cons while neither is considered universally as better than the other. Zivkovic’s was a little controversial due to several sequences remaining silent while Sterner’s is a more traditional silent film score. The Sterner version is the approved score for live presentations whenever the film is screened. There has been no word on a home media release. It’s believed that TCM may be holding off on rushing the film to a release since special screenings are still occurring. Time will tell if they decide to ever release the film on DVD or Blu-ray. I thoroughly enjoyed The Grim Game, finding it to be a perfect example of what Harry Houdini could do when given a good script. Hopefully, it can one day be a permanent addition to my collection. Personal Thoughts and Trivia: Harry Houdini’s transition to film star was easy and done primarily out of financial necessity. 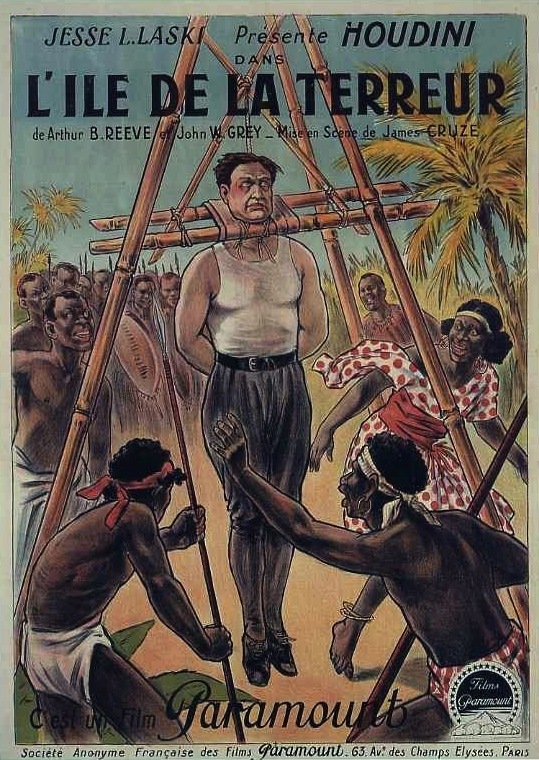 Houdini’s act was beginning to need a boost and bringing his exploits to film was a natural progression. It was just a matter of finding the right film. Houdini got the acting bug as early as 1901 after appearing in The Marvelous Exploits of Houdini in Paris. 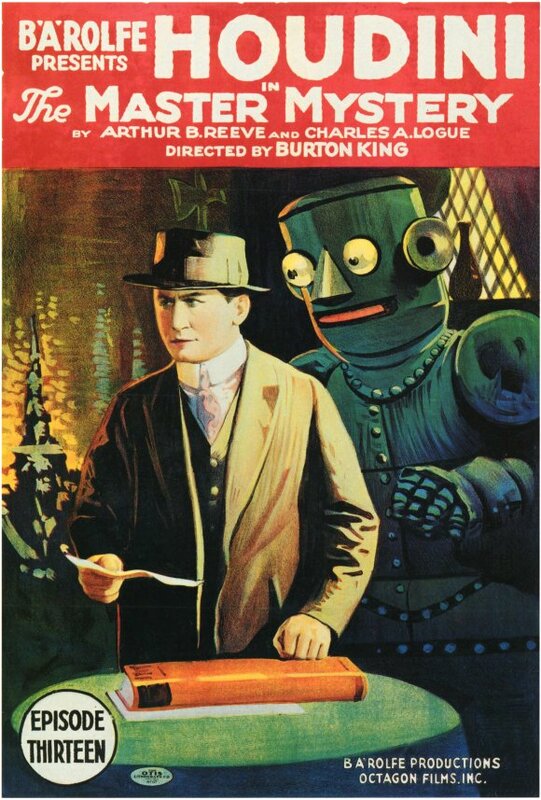 With a very loose plot, it is mostly Houdini appearing as himself breaking out of a straitjacket and a prison cell after being arrested for breaking up a fight between a drunk and a policeman. While very simplistic, it was effective. Unfortunately, the film is now considered lost. Two more films of his escapes were released in 1907 and 1909. 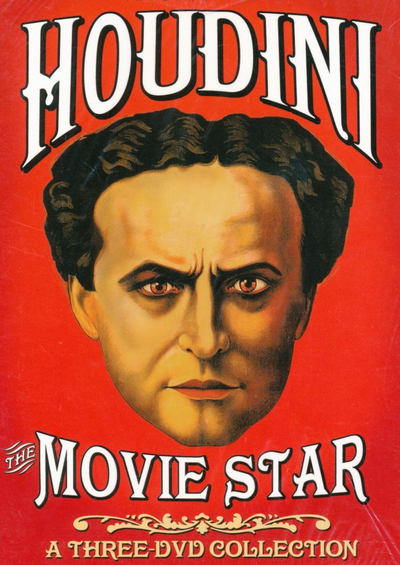 While not necessarily scripted presentations, all three films showed that Houdini could be a film star. Houdini considered himself as much more than an escape artist. Films would be a way for him to display his other talents, including inventing and criminology. He also had an interest in the supernatural, a passion he shared with author Sir Arthur Conan Doyle. When it came time to move forward with a film role, Houdini opted to control the production rather than turn it over to someone else. This resulted in the formation of the Octagon Film Corporation and Houdini’s first true film, The Master Mystery. The Master Mystery was a 15-chapter serial that originally ran more than 5 ½ hours. However, with several chapters now incomplete and two chapters missing altogether, the running time is now just under four hours. Chapter one debuted on Jan. 6, 1919, in a sold-out 3,000 seat Proctors Theatre in Yonkers, New York. It received rave reviews but questions of embezzlement caused some distribution issues. Houdini would eventually sue his partners for $43,000, just one of several lawsuits which forced Octagon into bankruptcy. Some five years later, the film was still going through distribution. However, the newly-formed Censor Board would now no longer approve of some of the content previously seen. Multiple scenes were removed, including several Houdini escapes involving barbed wire, neck strangulation, an electric chair and acid. All were deemed to be possible to incite crime. Scenes of forced kissing and a fake marriage were also removed. Thankfully, much of this still exists and has since been restored. The Master Mystery suffers from a weak and sometimes convoluted script. It is far too long and is best seen with breaks, which is how it was originally intended. All of the escape scenes with Houdini are amazing to watch but the moments in between can be a bit of a chore to go through. However, I do recommend you watch for the pure historical nature of the content and pleasure of watching Houdini perform. The Kino Video presentation is incredible for the age. Missing chapters or segments are described through on-screen title cards. While most of the film looks great, some parts suffer from nitrate damage. But, the fact they still exist at all helps overshadow the poor visuals. All that said, this was a good start in the cinematic world for Harry Houdini. On Oct. 1, the very first Monster Movie Kid magazine was released. Put together by Joel Sanderson as special edition issue 2 of The Basement Sublet of Horror magazine, it made it’s debut at the Free State Comicon in Lawrence, KS. Now, no matter where you are, you too can have your very own copy! Richard Chamberlain’s Guide to the Films of Boris Karloff is available through Indy Planet, either as a digital copy for $1.99 or as a print-on-demand for $6.00. With a beautiful cover, fit for framing, and 48 pages of Karloff goodness, it doesn’t get much better. 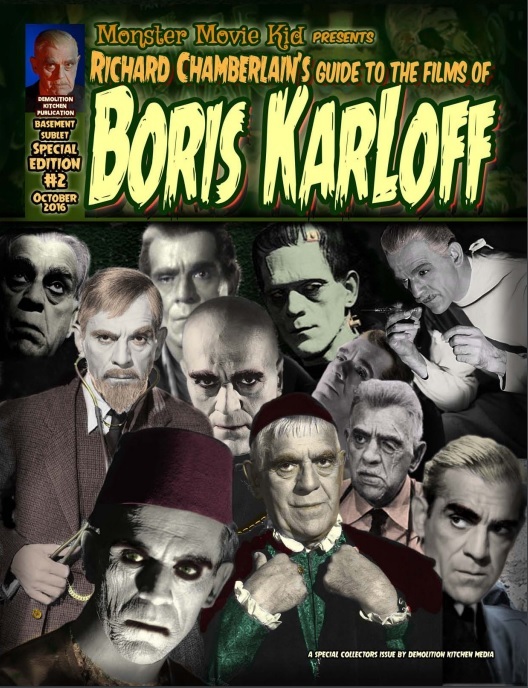 This features almost all of my Boris Karloff articles (the last two from August 2016 were posted online too late to make print) in an easy-to-find alphabetical order. Once you order your copy, let me know what you think. Give me your feedback and tell me whether or not you’d like to see a Bela Lugosi companion piece in 2017. Special thank you to Joel Sanderson for his hard work in putting this together and making my articles look that much better! On March 24, 1874, Erik Weisz was born to Rabbi Weisz and his wife Cecilia in Budapest, Austria-Hungary. That may mean nothing to most of you until I tell you that he was better known under the stage name of Harry Houdini. He was a world-renowned magician and escape artist but did you know that he was also an actor? Harry began his magic career in 1891 doing mostly card tricks before he started experimenting with escape acts. 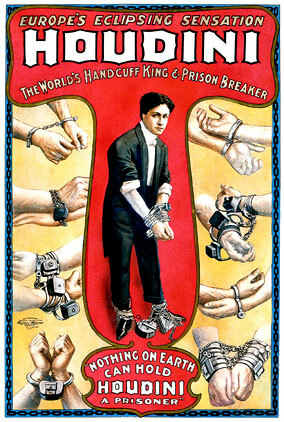 He would become famous for his handcuff tricks, even being nicknamed “The Handcuff King”. By the early 1900s, he was moving on to more daring acts. There was the Chinese water torture act and the straitjacket challenge, not to mention even being buried alive. But while he was becoming a legend in the field of magic, he was also dabbling in the world of Hollywood. 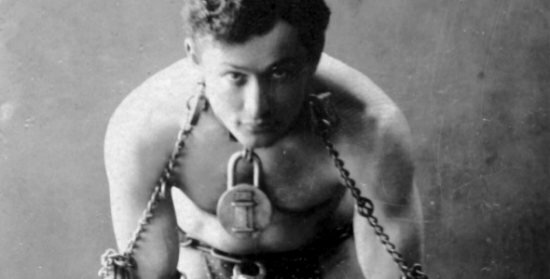 As early as 1906, Houdini was showing films of his escapes during his vaudeville act. In 1909, he was offered the part of Captain Nemo in what would have been the original version of 20,000 Leagues Under the Sea. It would be another nine years before Hollywood tried again. In 1918, he would receive another opportunity with the cliffhanger serial, The Master Mystery. Between 1919 and 1923, Houdini would go on to make another four films, the last of which was Haldane of the Secret Service (1923). He even founded his own film laboratory, The Film Development Corporation, with his brother Theodore. However, by 1923, Houdini had grown tired of the business, claiming there was too little profit. It may come as another surprise that even Houdini’s voice was recorded. He made a total of six Edison wax cylinders in 1914. Presumed lost for many years, they were rediscovered in a private collection in 1970 and are now owned by magician David Copperfield. You can hear his voice on YouTube in a recently remastered version with noise reduction. 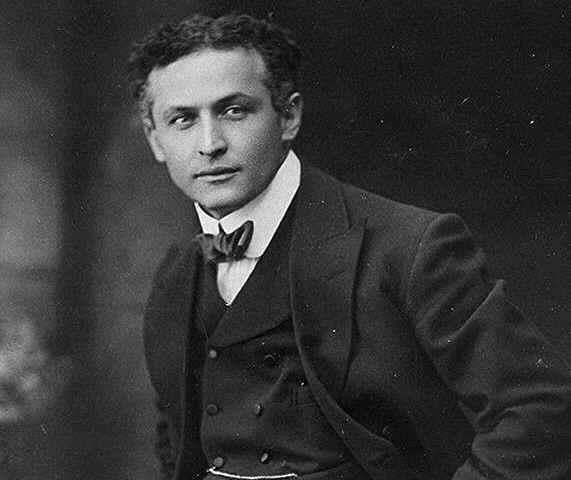 Harry Houdini died on Halloween afternoon, 1926, of peritonitis and a ruptured appendix. He was only 52 years old. There has been speculation for years about his death, some believing it was the result of an attack on his abdomen by a student. Despite the controversy, his legacy as a master magician lives on today. But his film career is seldom talked about. Houdini has been the subject of several films over the years, including Houdini (1953) starring Tony Curtis, The Great Houdini (1976) with Paul Michael Glaser and, most recently, Adrien Brody took on the role in the mini-series Houdini (2014). Harry Houdini’s five films deserve more recognition. Kino International released a fantastic DVD set in 2008, now out-of-print. It only included about five minutes of The Grim Game (1919) as the film was considered lost at the time. However, the movie was in a private collection and it was sold to Turner Classic Movies in 2014. They restored it and publicly showed the film in March 2015, followed by a television broadcast in October 2015. In honor of this master magician and escape artist, I’ll be reviewing The Master Mystery (1918) next week with the rest of his five films following every Friday through December. I hope you’ll enjoy this retrospect and glimpse into the seldom seen and little known film career of the legendary Harry Houdini.